The city's dim sum institutions do not mess around. A brunch of dumplings or deep-fried delights served in bamboo containers, all wheeled to your table on a trolley and washed down with gallons of hot tea. Whether you call it dim sum (“to touch the heart”) or yum cha (“to drink tea”), this dumpling-filled cuisine is a staple in Hong Kong, and for good reason. Traditionally served around mid-morning, the meal is now available all day, but is most popular between 11am and 2pm. It’s a dish to be shared with friends or family, which is why dim sum restaurants are accompanied by a soundtrack of competing conversations and clanging porcelain. 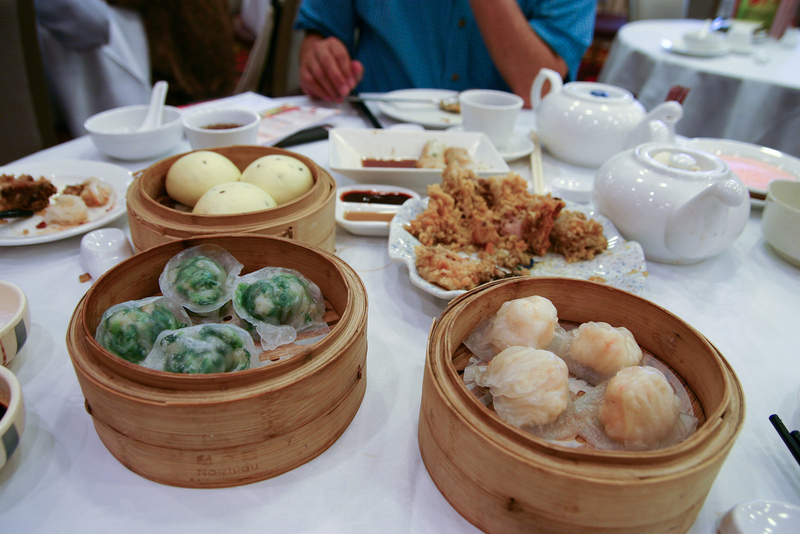 When it comes to food and hungry customers, Hong Kong’s dim sum institutions don’t mess around. The chaotic experience can be overwhelming and even confronting to anyone who hasn’t tried it before, with new foods and waiters who shout over your head in Cantonese. But, with the below tips, even the uninitiated will be dim sum pros. 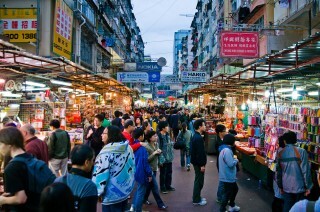 As with a lot of good food, waiting in line is a necessary evil at many dim sum establishments in Hong Kong. But, rest assured, it’s well worth the wait. Tim Ho Wan, one of Hong Kong’s cheapest Michelin-starred restaurants, is an institution on a long street of otherwise un-noteworthy buildings, and is recognisable by the huge crowd convening outside. At places like this, tell the maître d’ how many people are dining and they’ll give you a ticket with your table number. At other places, like Lin Heung Tea House, you’ll be expected to seat yourself. Pro tip: Leave your manners at home — if you don’t push in, you won’t get in. 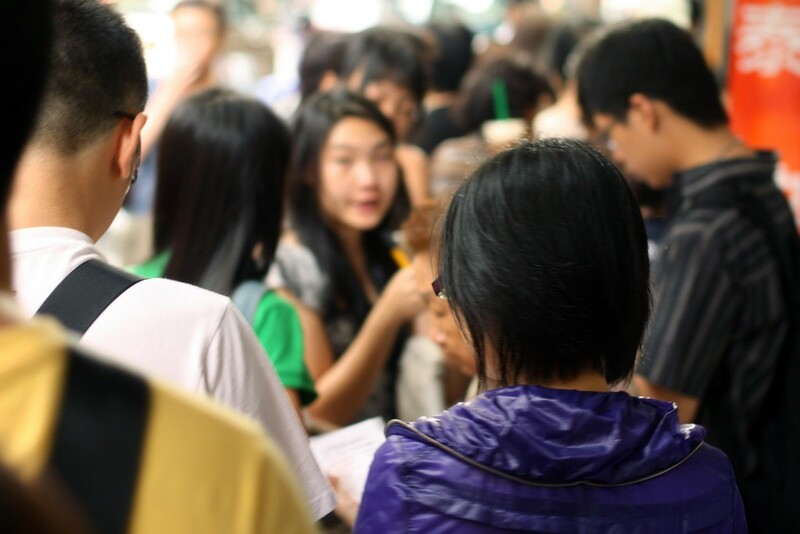 Although dim sum is considered best shared with others, going it alone has its benefits: restaurants seat people according to their party numbers and try to fit as many into the venue as possible. So, if you’re travelling solo and don’t mind sharing real estate, you’ll probably get to skip the queue. You can also avoid long waits by ordering your food to go. You still get to eat the food, but in the comfort of a park, city bench, or your hotel room. Traditional dim sum places serve food on trolleys that weave between tables. Diners select dishes as they come to the table, and the wait staff circle or stamp a ticket with their order. 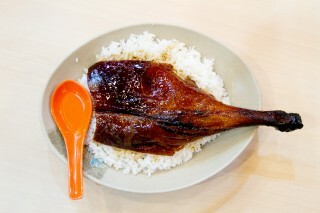 This still seems to be the norm overseas but, in Hong Kong, many have now adopted a ticketed system, where patrons fill out cards beforehand, writing down the quantity of each dish desired. Most places have cards in English, but even if they don’t, take a gamble and mark a couple of random items – you might find a new favourite food! 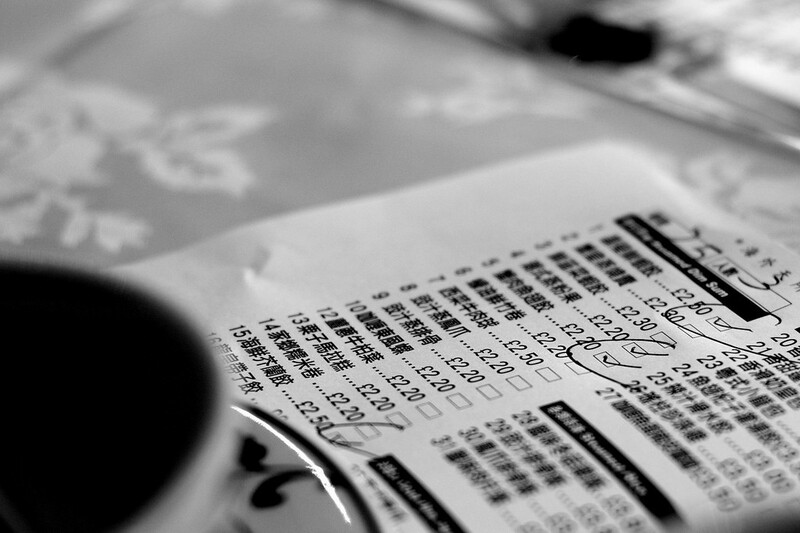 Lin Heung Tea House and Maxim’s Palace are known for serving dim sum in the traditional manner. However, they’re often packed so the good dishes might not even make it to your table. In these situations, it’s customary to get up and seek your desired dishes from the trolleys. Don’t forget to bring your ticket with you. Before the meal, you might be given a large bowl. Wash your dishes in this with tea – the hot tea kills the bacteria. Most places do wash their dishes, but this ritual is still continued out of habit more than anything else. Chopsticks are provided by default, but feel free to ask for a fork if you prefer. Don’t pierce the food with chopsticks (even though it might be easier!) and don’t leave them sticking up straight in a bowl of rice. In some restaurants, you will be automatically charged for tea and you might also have to pay a 10 percent service charge. If you’re concerned about these charges, double-check with the waiter before being seated. 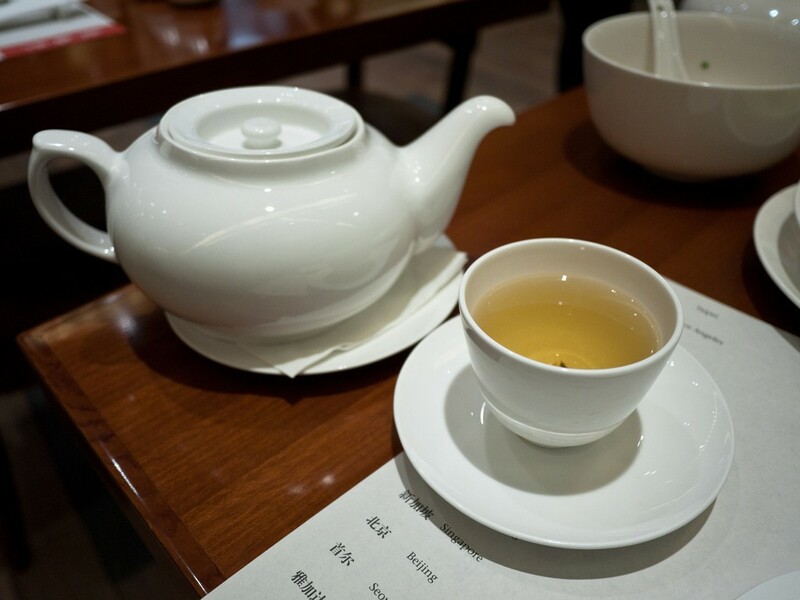 As you can probably gather from the fact that the meal is literally called “drinking tea”, tea is a must. Not just because it’s part of a tradition, but also because tea helps break down high-sodium and deep-fried foods. When pouring tea, it’s customary to serve others before yourself. Within families, the youngest pours tea for the elder members. Pour for the people on your left side with your right hand, and vice versa. You’ll likely see other diners tapping their fingers on the table as the waiter pours their tea. This is a signal of thanks, originating from a Qing Dynasty emperor’s officials as a way of “bowing” discretely in public. It’s also great if you’ve got a mouthful of dumplings while they’re pouring the tea. If your teapot is running a little dry, leave the lid ajar to signal a need for more water to the wait staff. 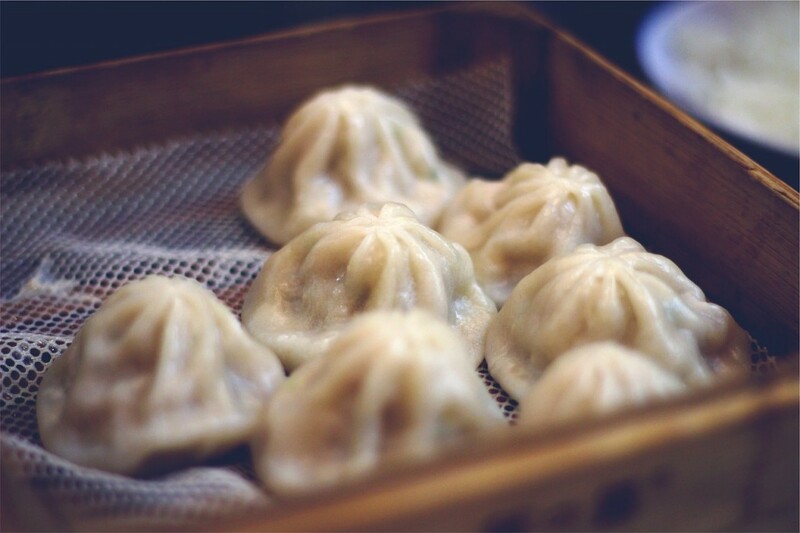 The most common morsels tucked into at dim sum include har gau (steamed prawn dumplings), siu mai (open-top steamed prawn dumplings in wonton wrappers), char siu bao (barbecue pork buns), congee (rice porridge), and cheong fun (rice noodle rolls with various fillings). For desserts, daan taat (egg custard tarts) and lai wong bao (custard filled buns) are popular choices. For the more adventurous among us, fung zao (literally “phoenix talons”) are chicken feet deep fried and braised in various herbs and spices. 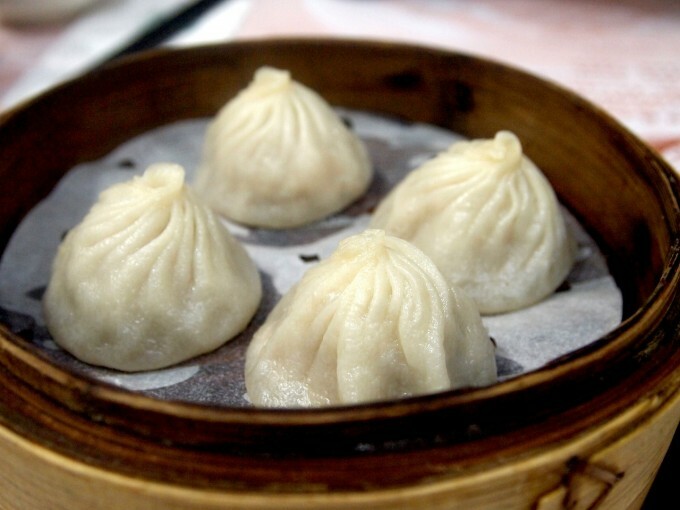 These are the traditional favourites, but dishes vary between dim sum joints. Some experiment with different dumpling ingredients while others go all out on the deep fried stuff. Serenade (owned by Maxim’s) creates cute dishes in the shape of various animals, while Crystal Jade adds multi-coloured xiao long bao (Chinese soup dumplings) and dan dan mian (noodles in spicy soup) to its dim sum offering. Next-level dim sum is easy to find as long as you’re willing to shell out for it. Dim Sum presents luxury dishes such as abalone siu mai, Mott 32 does fusion dim sum like no other, and Spring Moon at the Peninsula offers cooking classes to hotel guests, so you can make their delectable treats at home.